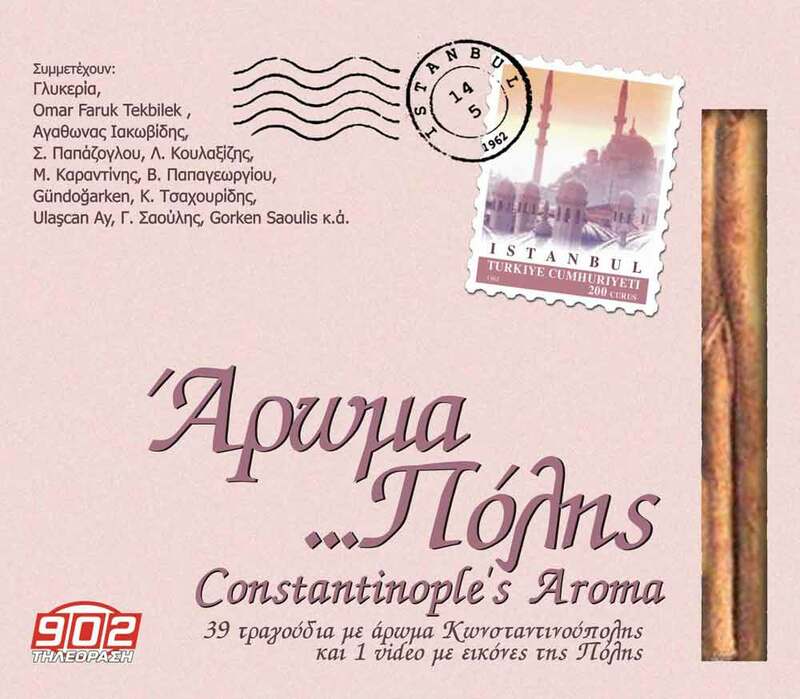 This excellent compilation constitutes a great gathering of Greek and Turkish singers and is dedicated to Constantinople, this historical city where East and West cultures come together. Distinguished singers such as Glykeria, Omar Faruk Tekbileh, Lazaros Koulaxidis, Giannis Saoulis, Gorken Saoulis and many many others, interpret traditional songs in a unique way reminding to the audience the cultural interaction between the Greek and Turkish Music. Three CDs full of beautiful music and you can also find a video with pictures of Istanbul. Enjoy!